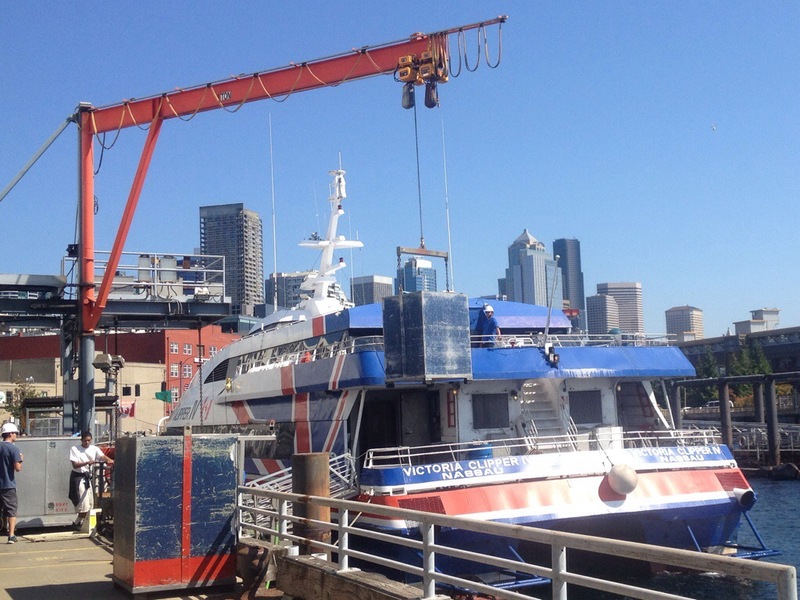 I was relieved Bainbridge Island’s Bike for Pie event didn’t coincide with Hempfest this year, but our trip to the ferry on August 14th was subject to the cannabis convention construction. It wasn’t really so bad, but we were routed away from the bike path to the narrower walking path and our forward progress blocked by mis-parked trucks a few times. I knew from signage ahead of time that I’d have to contend with this detour, but I figured setup wouldn’t be so bad that I’d want to forgo the longer, flatter trip to the waterfront. 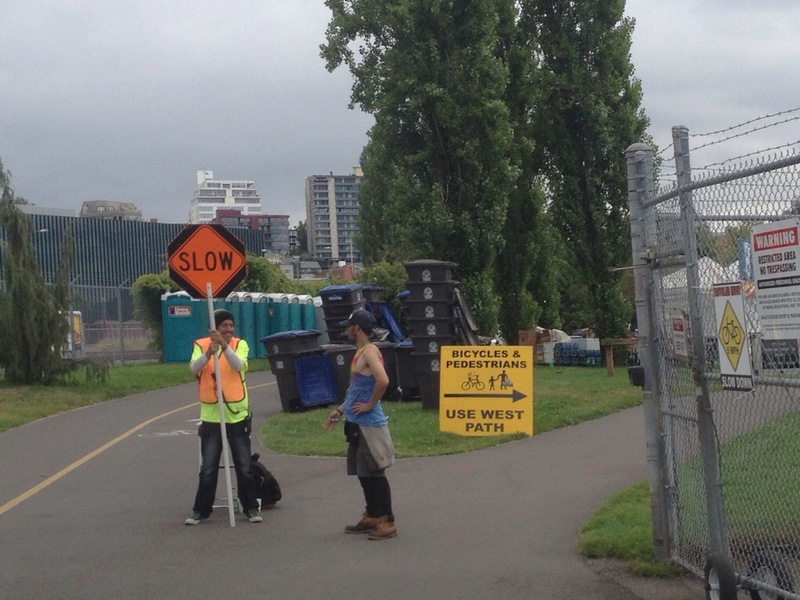 Traversing the area during Hempfest is totally out of the question and our return trip was during clean-up which I figured would be worse than set-up so we took the shorter, steeper trip on our way back home. 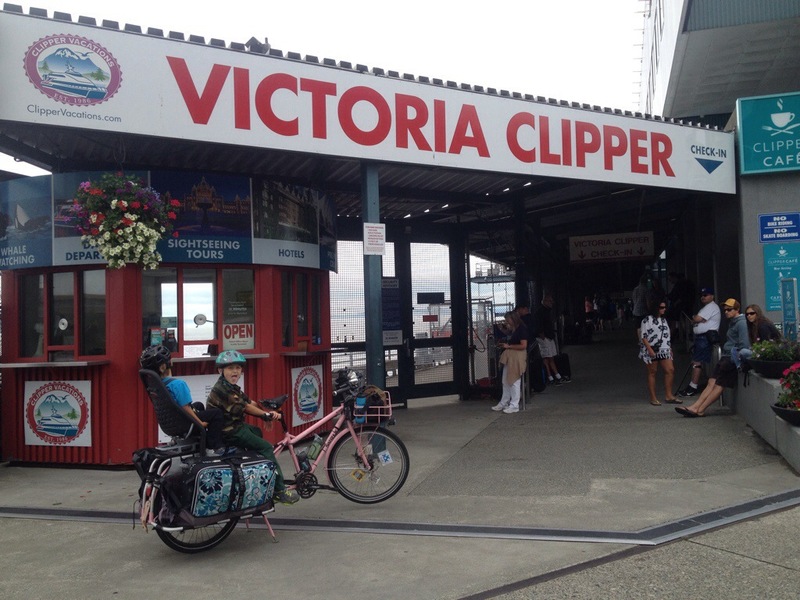 The Victoria Clipper isn’t cheap, but it’s extremely convenient. 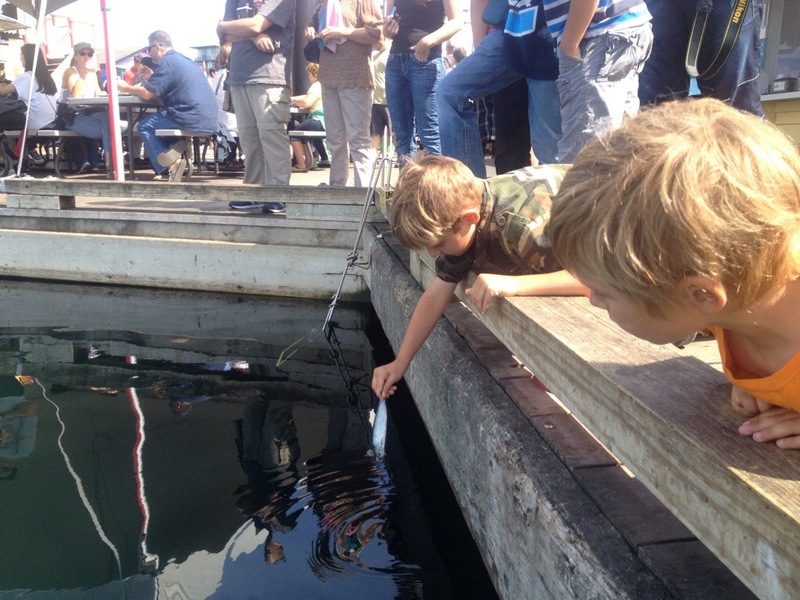 Less than three hours to get to Victoria, and it leaves from easily-accessed Pier 69. 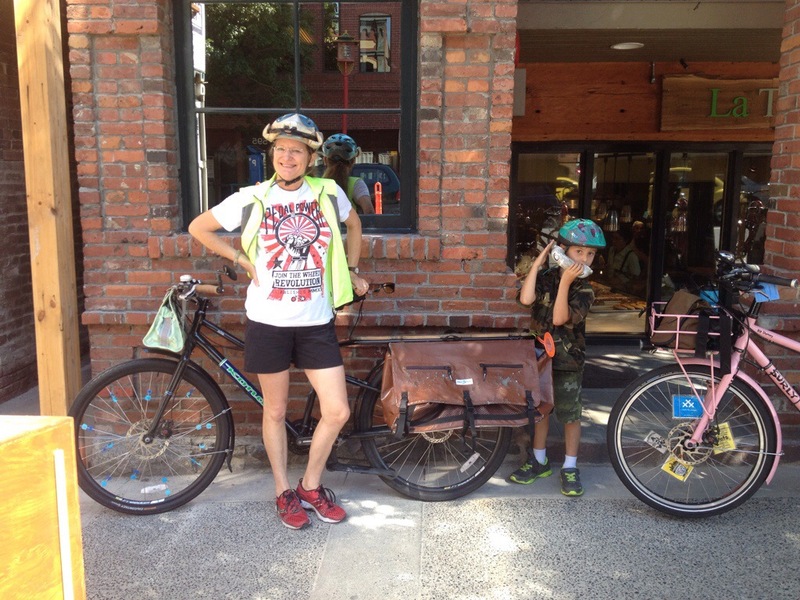 Regular bikes are $20 each way, but big bikes, like mine, are double that. 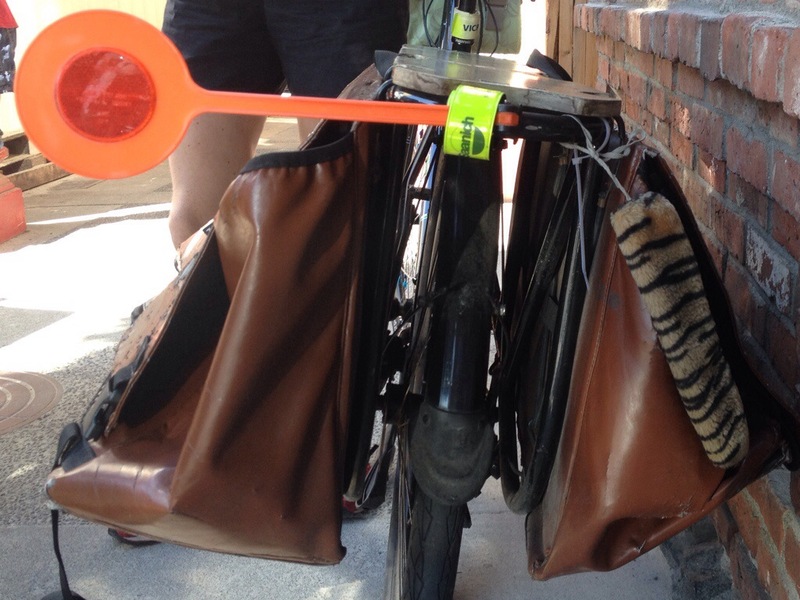 Still worth it–Canada with a cargo bike! 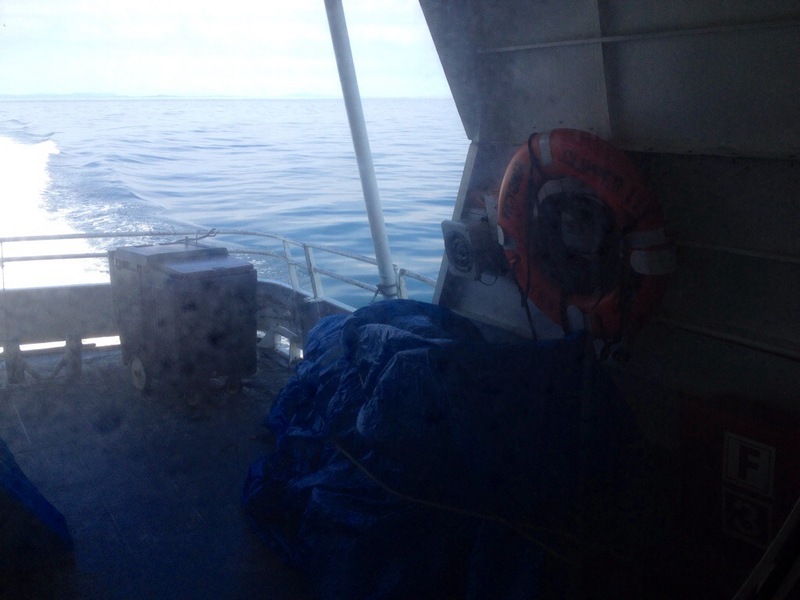 Our boat ran 20 minutes late so everyone got free coffee and 10% off duty free bulk booze and smokes…and then they made up the 20 minutes at sea anyway. Regular checked baggage travels in big metal boxes, placed on the boat by crane. Bikes are wheeled on and covered with a tarp. Forgive the poor quality of the photo, it’s taken through the window because passengers aren’t allowed access to the bottom deck where the bikes travel. And before you know it, you’re in Victoria! This is the parliament building, very close to the Clipper terminal. As was our hotel. I couldn’t find an amazing stand-alone hotel deal online so I booked Clipper tickets and hotel through the Clipper Vacations website. The Harbour Towers Hotel & Suites worked very well and had a swimming pool, which seems to be a requirement for the kids as of late. And a parking garage with bike rack. 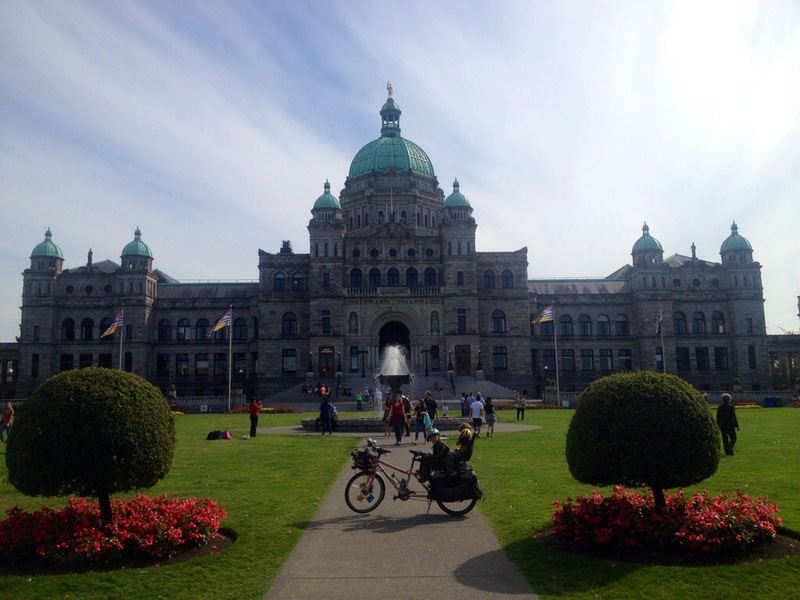 Red Tricycle just ran an article about visiting Victoria without a car, Bon Voyage: Your Guide to a Hassle-Free Victoria, BC Getaway. 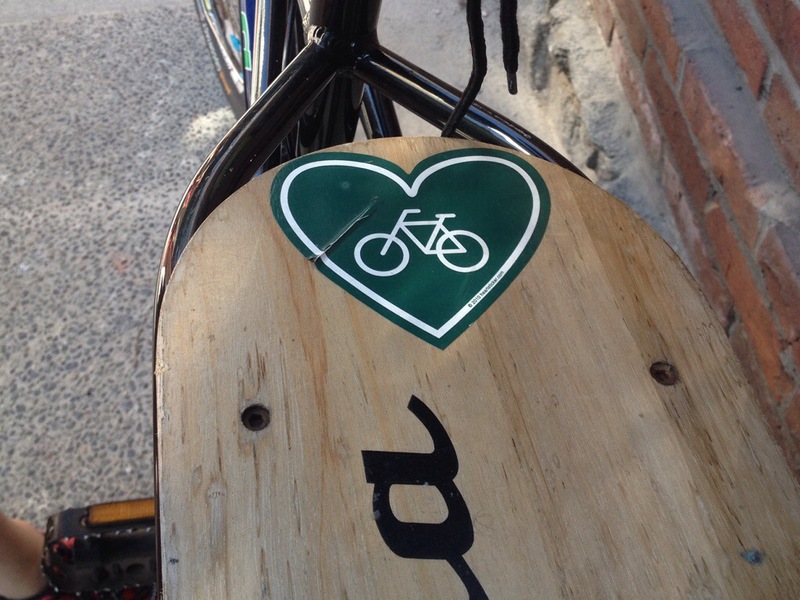 No bikes utilized, but feet and buses got them around the city. 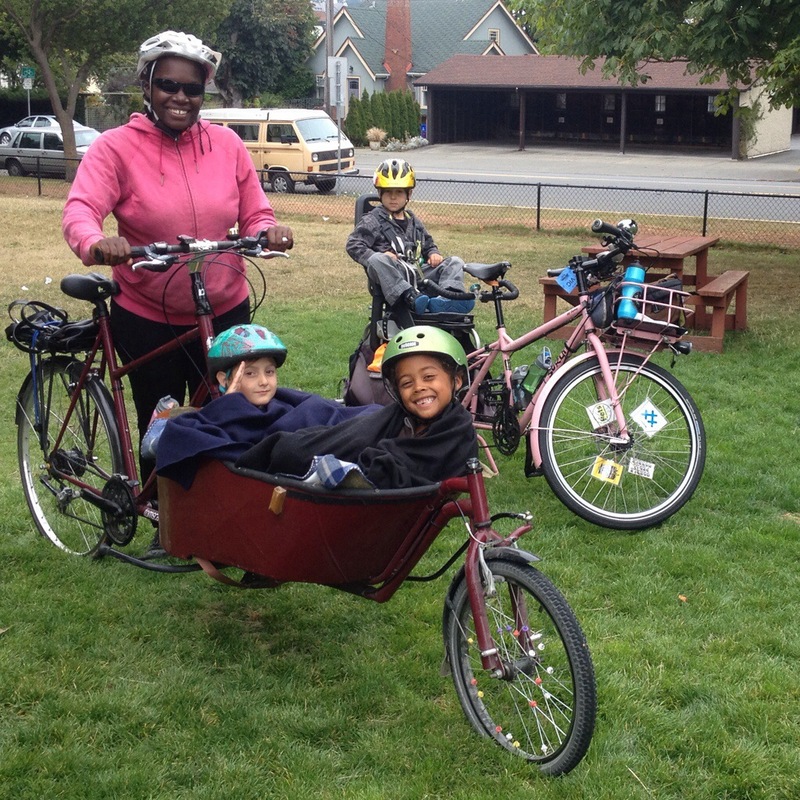 On our first full day we met up with the Growing Up Bike family. 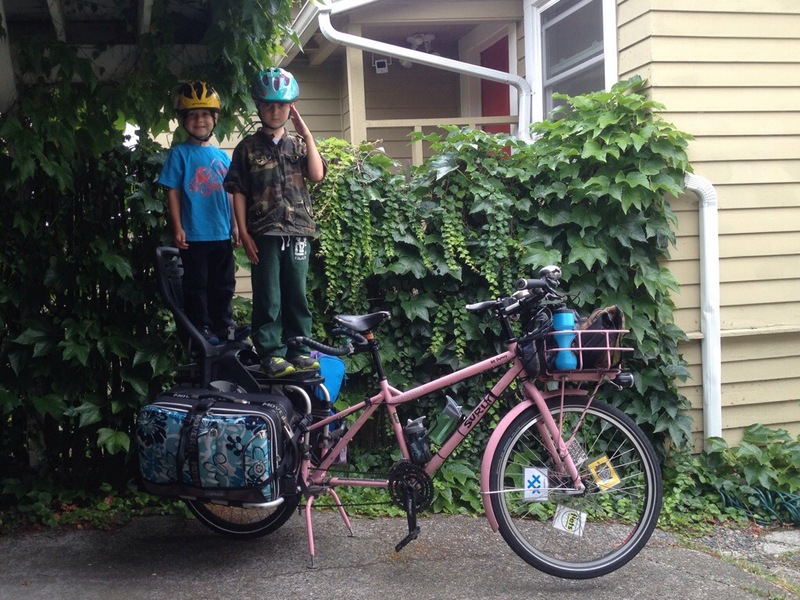 Eunice wasn’t on her own Xtracycle, but instead borrowing her friend’s Tom’s Cargo Bikes longjohn. 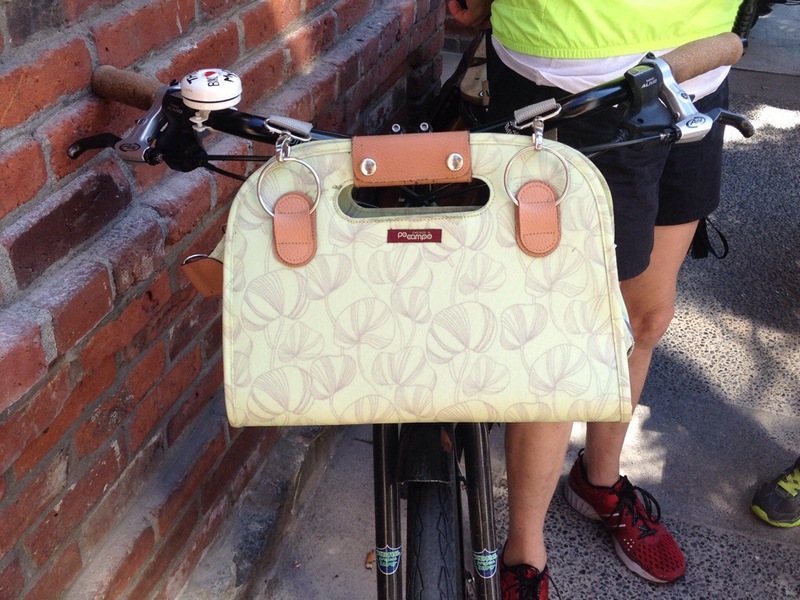 I know this bike! 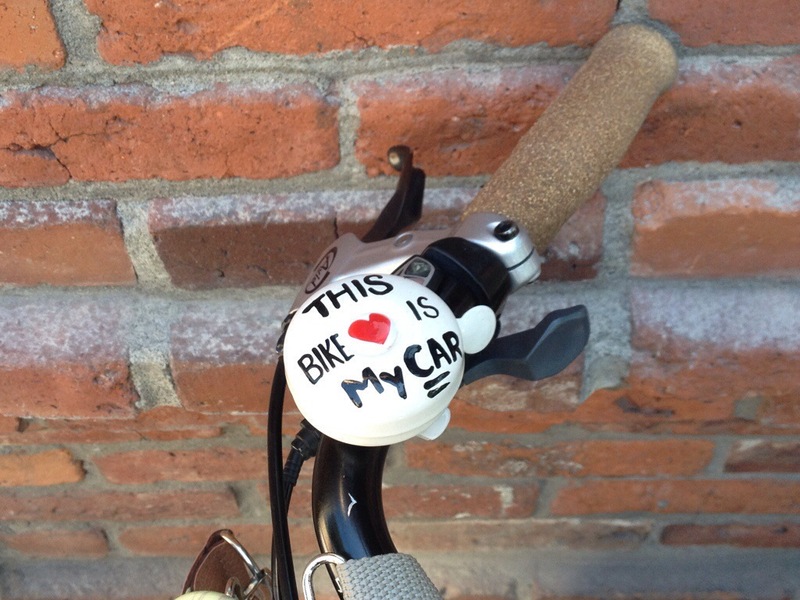 It was Fred King’s bike at last year’s Portland DRT. 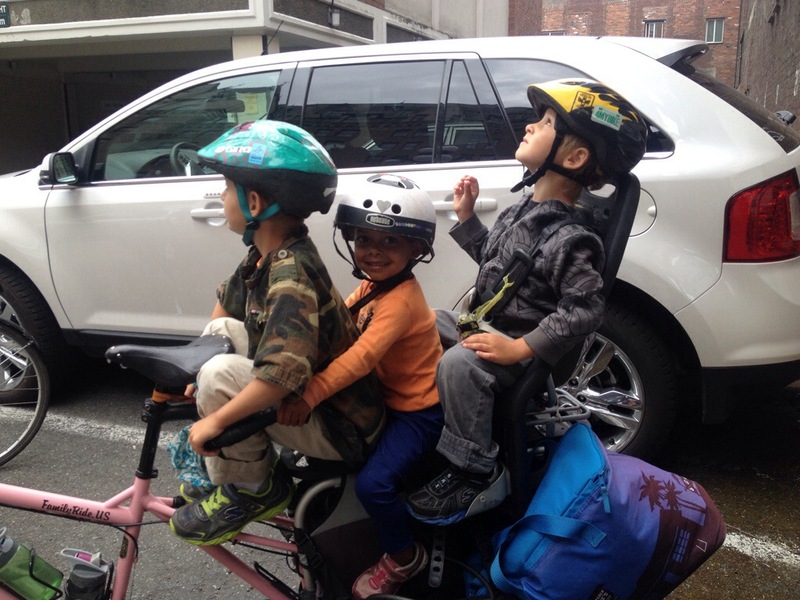 He’s since upgraded to a Bullitt and his old bike has a new happy family. As you can see from the above picture, we did a lot of kid swapping over the course of our visit–I think every combination imaginable. And not for the purpose of separating squabbling siblings, as is usually the reason to swap kids with a pal. 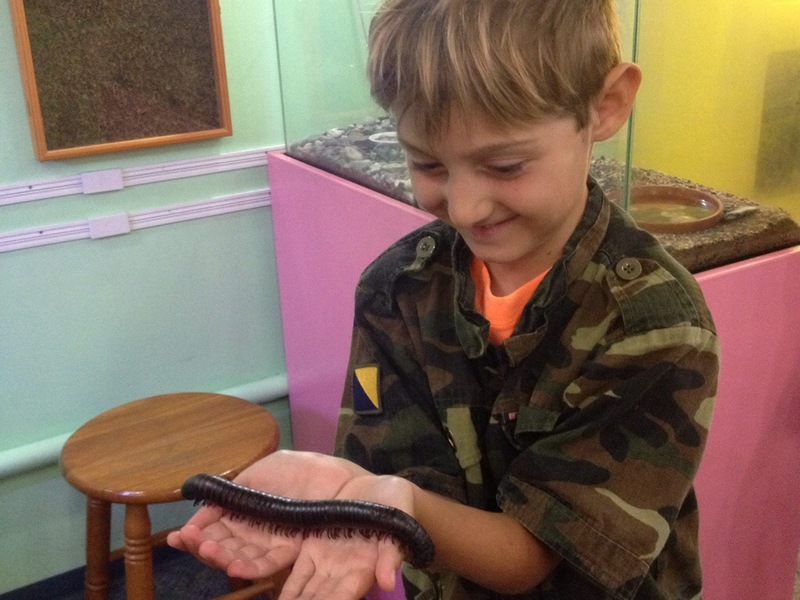 Our first destination was the Victoria Bug Zoo. It’s amazing. 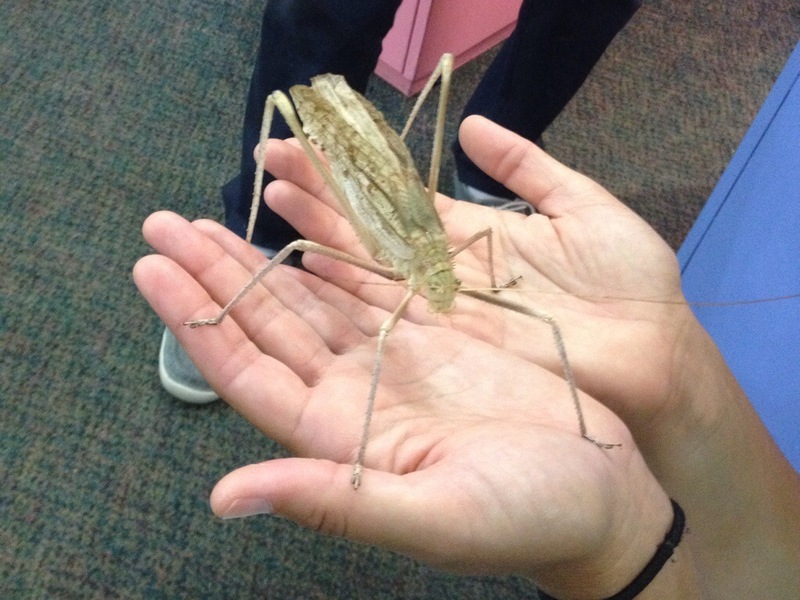 The Bug Zoo was within walking distance of our hotel, but it was much quicker to bike there. And afterwards we biked a mile to Cook Street Playground, then along to Big Wheel Burger for dinner (and where Eunice was discovered by a photographer for Momentum Magazine!) and finally for a scenic tour back to the hotel, including Mile 0 and the World’s Tallest Totem Pole. Our destination the following day also qualified as within walking distance: Fisherman’s Wharf, where we found a playground, many food options, and hungry seals we could feed by hand. On day three we ventured a bit farther afield, first to meet up with Olena Russell, Mike Russell, and Ruth for coffee at Habit in Chinatown. I love Ruth’s Kona Ute and all its special touches! After coffee we followed the Russells to the Beacon Hill Children’s Farm. 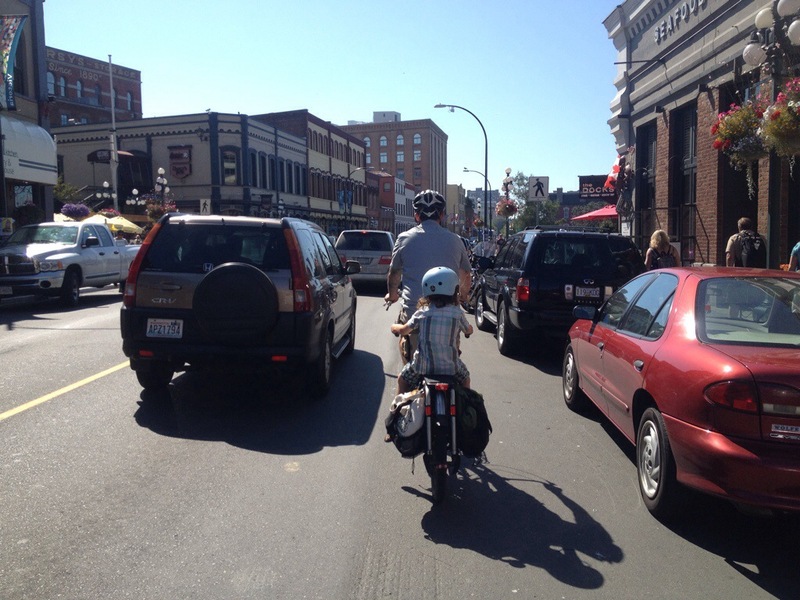 Along the way I realized something that had been nagging at me the previous days–people in cars don’t give much space to people on bikes on the narrow downtown streets. I do a lot of comparing Seattle to Portland and bemoan our lack of bike infrastructure and lack of respect as fellow road users from people in cars, but I felt my space much more encroached upon here. It didn’t feel intentional and threatening, just close. But soon enough we were in the park with room to fly! Mike called this Victoria’s only protected bike lane, but as you can see from the paint, it’s a separated multi-use trail, which I think isn’t quite as exciting. Separate spots for walkers, bikers, and drivers would be ideal. 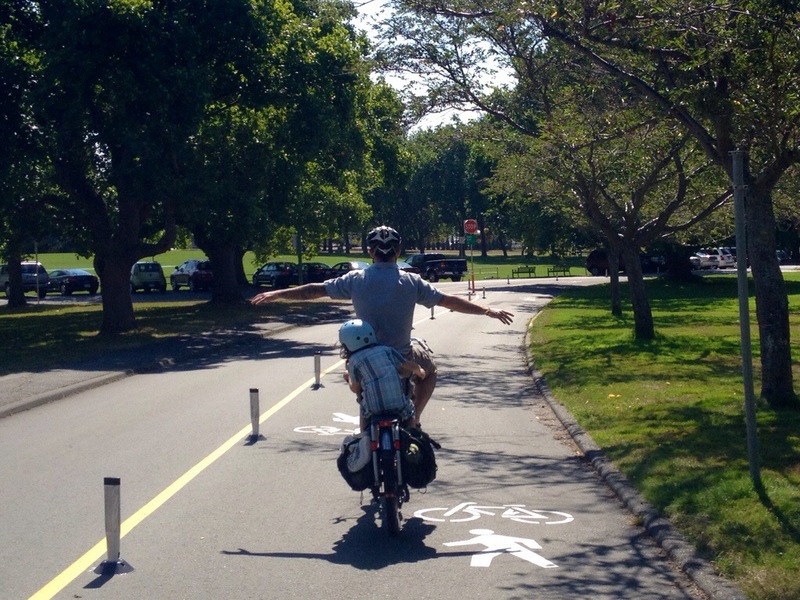 He also pointed out the roads used to be closed to cars–that would have been ideal-er! 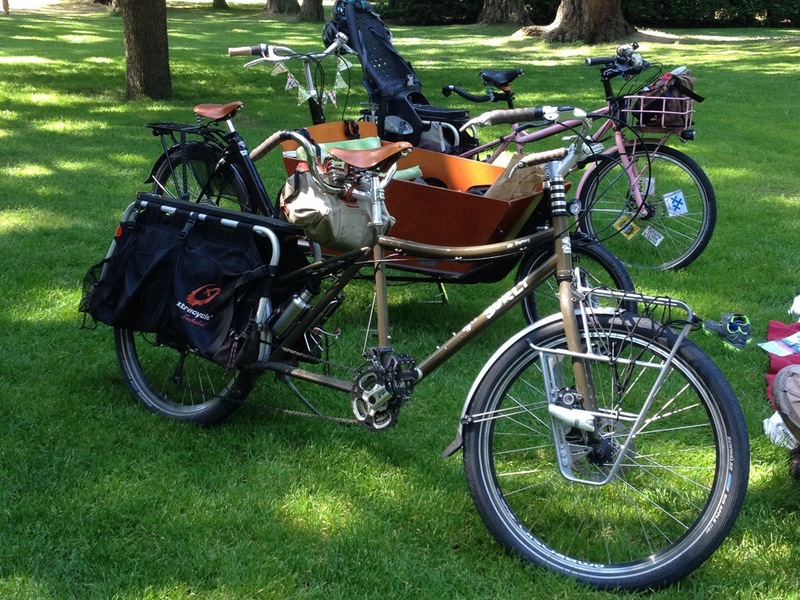 Behold our three bikes lined up–Surly Big Dummy, Workcycles bakfiets, Surly Big Dummy, at the outdoor orchestra. I was quite taken by Mike’s Schwalbe Big Apple tires. 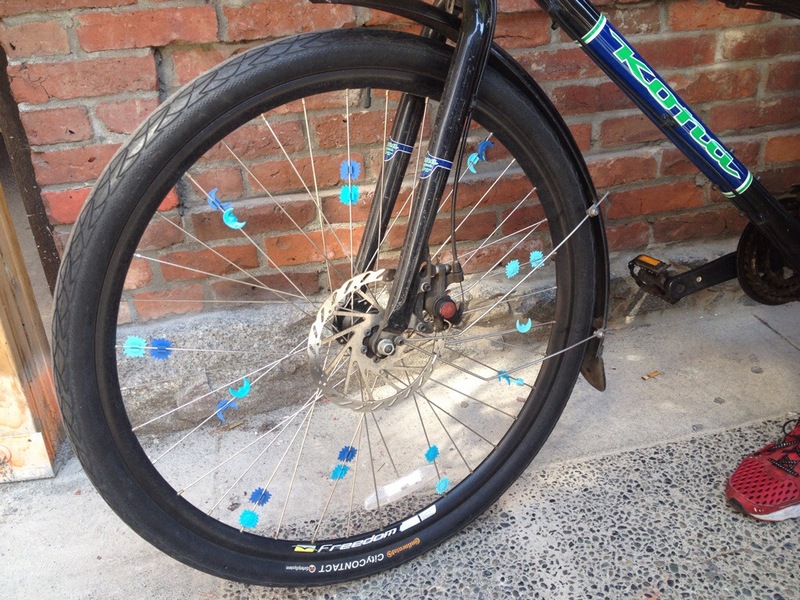 I know they provide a cushier ride than my Schwalbe Marathon Plus tires, but they don’t boast the same flat-resistance. However, he said he’s been rolling strong for three years on this set. Perhaps once I’ve destroyed my current tires I’ll make a change, but I’m not one to swap away perfectly good tires…especially when they’re the most flat-resistant ones on the market. 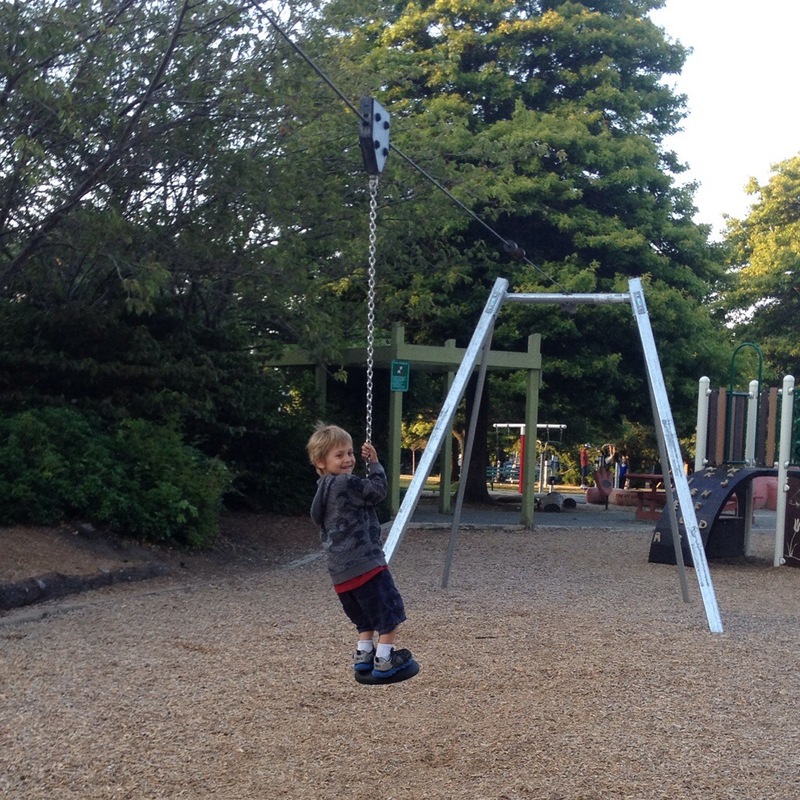 The kids had a blast at the playground in Beacon Hill Park, and even more of a blast in the wooded area of Beacon Hill Park, but we returned to Cook Street Park because its zip line can’t be beat. The next morning we hopped the Clipper back to Seattle. Again, the trip was quick and uneventful, but things had changed at home! 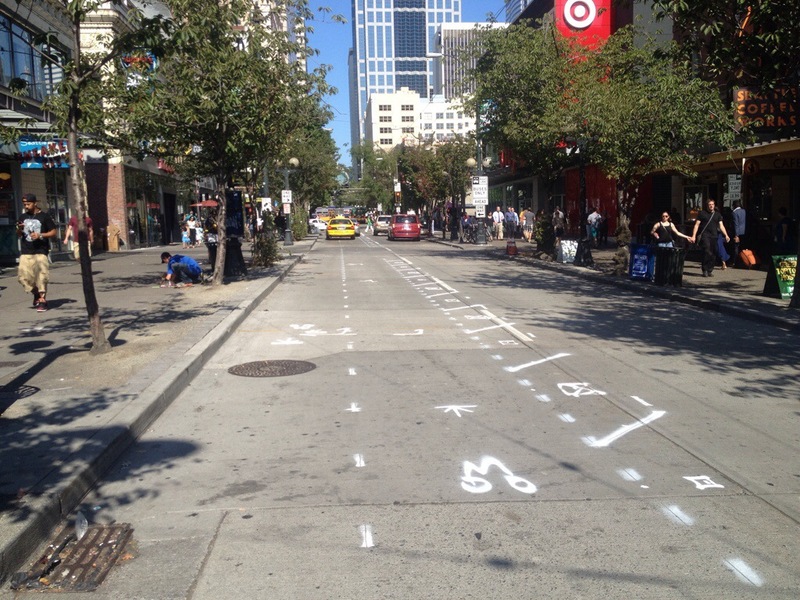 I saw markings in the street for a two-way protected bike lane on Pike Street, between Pike Place Market and 2nd Avenue. I wouldn’t have noticed them had we not been avoiding the Hempfest teardown and taken the direct-but-trafficky route home. Thanks Hempfest! 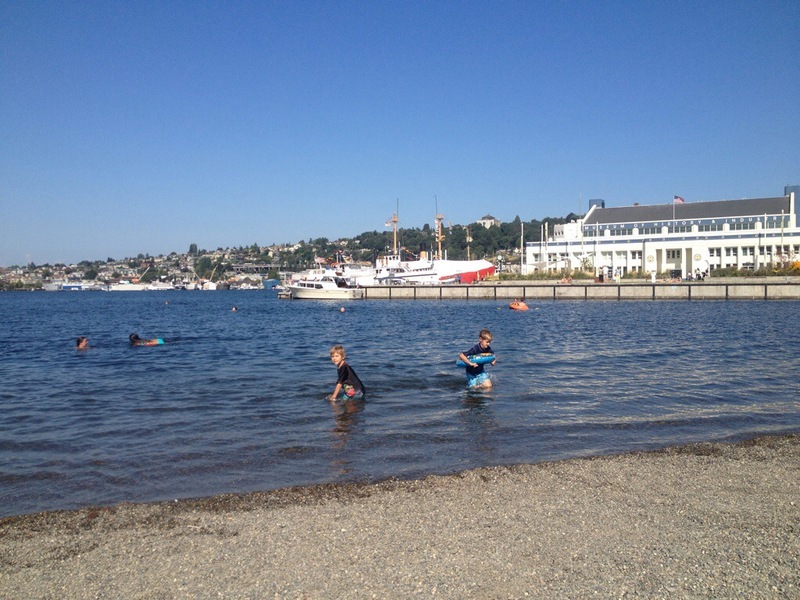 The direct route also carried us by Lake Union Park so we wisely changed into swim suits at the Clipper terminal after clearing customs and were ready to hop into South Lake Union on our way home. I don’t think I’ve ever had such a quick and easy vacation that I was willing to stop for a swim on the way home! 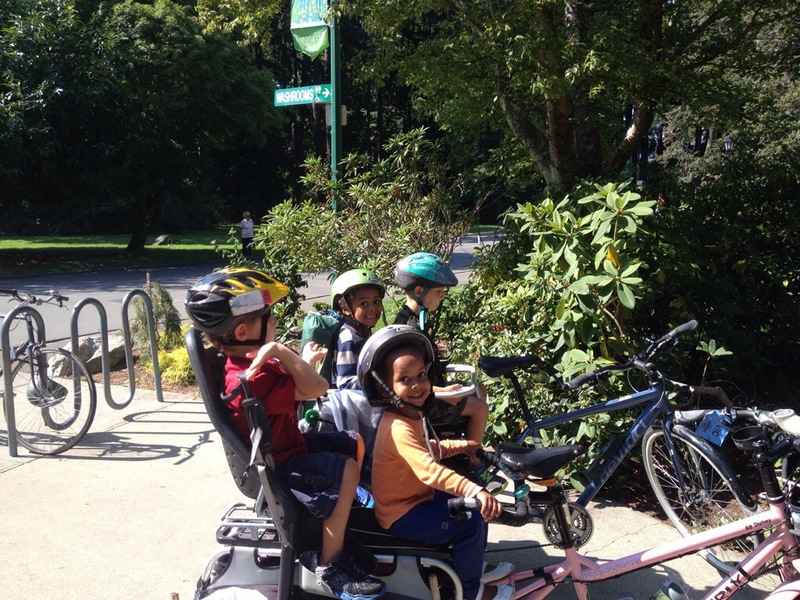 We had an excellent time, though it’s a shame we didn’t get to travel the Galloping Goose Trail or Lochside Trail. Obviously, we’ll have to go back and remedy!